Prey has some roots in Bioshock, and I love me some Bioshock. It even starts with kindofa callback - getting on a helicopter. Unlike the planecrash in Bioshock, the helicopter arrives safely at its destination. Or does it? Ultimately, you find yourself on a sprawling spacestation, overrun by nasty aliens and beset by some significant maintenance issues. As the game progresses, you inject alien goo into your head to give yourself superhuman and alien powers. Nice doses of funny and scary and a thin thread of story. 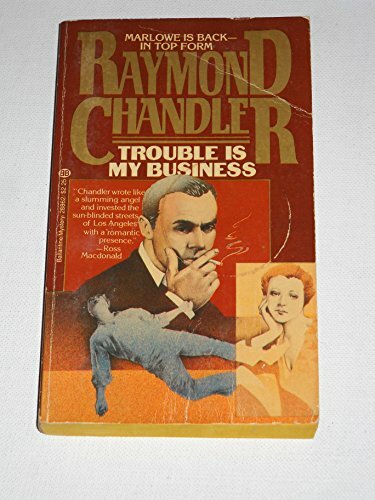 Trouble is My Business is a collection of four longer Marlowe short stories by Raymond Chandler. All good stuff, written with his characteristic verve. Golddiggers, casinos, fish-fanciers, and cops on the make, all in a Los Angeles you can still catch out of the corner of your eye when the light is just right.